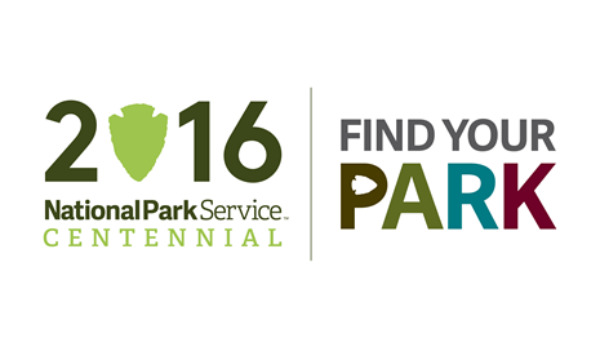 Surely y'all have been hearing a lot about the National Park Service lately, as we all celebrate its 100th birthday. South Carolina has only one national park--breathtaking Congaree National Park--but the National Park Service is responsible for six other sites across the state, most of which are historic national battlegrounds. But there's one site that's a little different from all the rest as it honors one of South Carolina's finest statesmen, Charles Pinckney. How the Charles Pinckney Historic Site came to be is a pretty remarkable story. Y'all want to hear? Although overlooked by early historians, Charles Pinckney is recognized today as one of our country's greatest contributors to the Constitution of the United States of America. He is most famous for his "Pinckney Draft" which he presented as a complete plan of government at the Constitutional Convention in Philadelphia in 1787. The final constitution contained over thirty of his proposals, and he is now regarded as a significant leader at the convention who helped resolve problems that arose during the debates. He was also governor of South Carolina for four terms, a US Senator, a member of the US House of Representatives, and US Ambassador to Spain. Quite the life of public service, wouldn't you say? 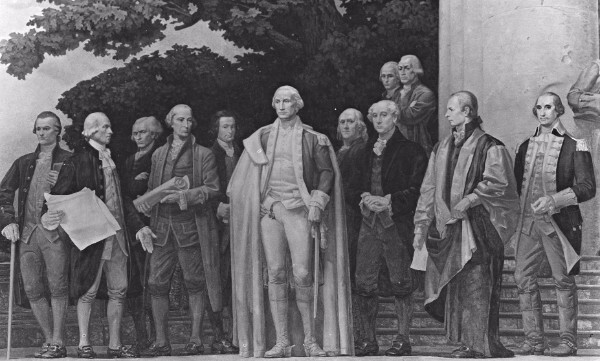 Framers of the Constitution (middle segment), mural by Barry Faulkner. Charles Pinckney is on the far left and Charles Cotesworth Pinckney is on the far right. George Washington is at center. Archives.gov. Charles Pinckney's primary residence was downtown on East Bay Street, near where the Market is now, but it was destroyed in the fire of 1861. He had seven plantations near Charleston, but his favorite 'country estate' was Snee Farm, over 700 acres in Christ Church Parrish (the word 'snee' means bountiful or plentiful in Old English). Pinckney inherited the land from his father, Colonel Charles Pinckney, who bought it in 1754. The land stayed in the Pinckney family for over 60 years until it was sold in 1817 to satisfy Pinckney's debts. In 1791, President George Washington stopped here for breakfast on his way to Charleston, dining under a great Live Oak. A silver spoon was found under the tree many years later and was believed to have belonged to Charles Pinckney. Maybe it was one that Washington used? When Colonel Charles Pinckney bought the land in 1754, he developed it into a typical lowcountry plantation on which he raised cattle, indigo and rice. After the American revolution destroyed the market for indigo, rice was the primary crop until cotton took over in the early 1800s as the principal cash crop. The land was a working plantation well into the 20th century, operated by slaves and then sharecroppers. 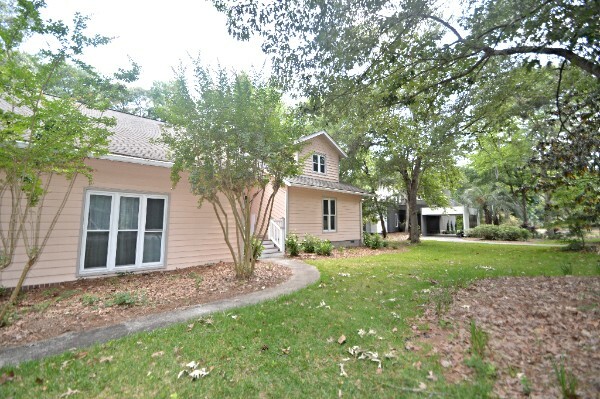 The house on Snee Farm was restored in 1936 by the family who had owned nearby Boone Hall, and two additions were built and attached on the north side of the original rectangular house--one became the kitchen, the other the Master suite. In 1966, the plantation was sold to Snee Farm Golf Club and the house and adjoining lands were sold to the Hollowells, who described living on the old plantation site as 'heaven on earth' in a 1974 Evening Post newspaper article. It was the Hollowells' interest in preservation that led to the house being listed as a National Historic Landmark in 1974. Snee Farm Plantation was registered as a National Historic Landmark in 1974. At the time of the National Register designation, it was believed that the pine and cypress home was the original Pinckney structure, built around 1754. Details of the house's interior described in the newspaper includ wide cypress baseboards, antique latches, enormous locks and long floorboards, all put together with wooden pegs. 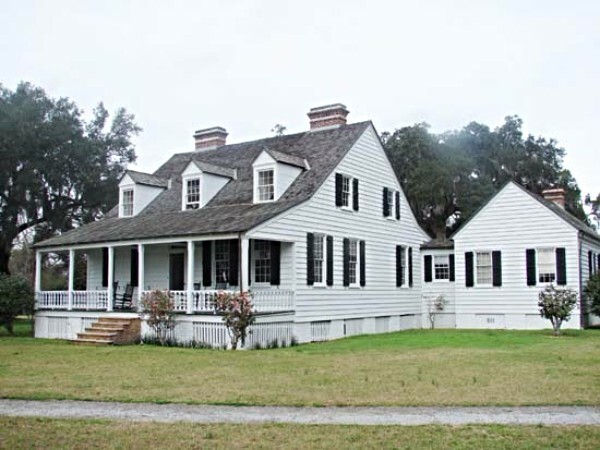 But, as it was later discovered during archeological inspection, the house was actually built in the 1820s on top of the original Pinckney plantation house site. You see, in 1986 the house and land was sold to Creekside Mobile Home Park/C & G Investment in order to build 40 residential lots. Local preservationists banded together in protest and formed the Friends of Historic Snee Farm. They were able to buy it in 1988 and sell it to the National Park Service in 1990. The Park Service then initiated archaeological investigations and five years later opened the Charles Pinckney National Historic Site to the public. While the present house is not of Pinckney's era, it is a fine example of the tidewater cottages that were once common throughout the coastal areas of the Carolinas and Virginia and so far more than 150,000 artifacts have been discovered on the site. As the work continues, new information is incorporated into the exhibits at the site. Have y'all been? #FindYourPark right here in Mt. Pleasant! In 1968, more than 800 acres of the original Snee Farm Plantation was sold to Port Royal Company, the same company that developed Hilton Head. The newspapers at the time described the "self-contained community" planned environment was needed for more golf opportunities and to meet the demands of an increasing population. There were plans to include not only a golf course and clubhouse, but also tennis courts, putting greens, a marina, beach club, a 180-room motel, a shopping center and schools. "Portions of the development will feature patio homes in which outdoor garden and pool settings will be designed as part of the house decor." While some of the original plans did not come to fruition (perhaps the designers of this mixed-use development were ahead of their time? ), the Snee Farm Country Club was certainly trendsetting at the time, and remains one of the most desirable neighborhoods in Mt. Pleasant today. Ruthie just had the pleasure of helping the buyers of one of those great homes in Snee Farm Country Club in which 'the outdoor setting is part of the house decor'. The new owners plan to refurbish this 5 bedroom home built in 1980 inside and out. With a pool, patio, deck, gardens and view of the golf course, this home certainly includes the outdoors as part of the house decor! Congratulations to the new owners of this contemporary soon-to-be 'heaven on earth'!